There are always two competing objectives for online beamforming of speech frames. 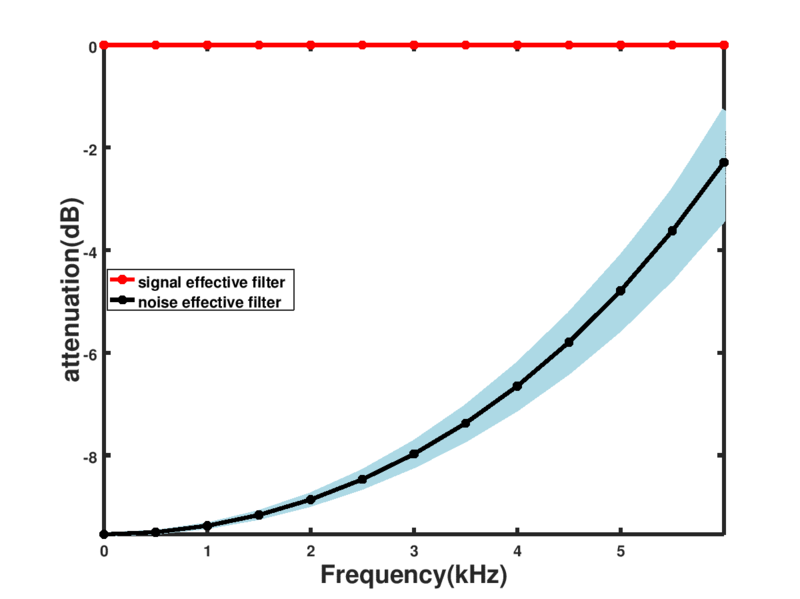 The first is accuracy, or improvement in signal to noise ratio (SNR). The second is the number of computations required to deliver the output. Least variance distortionless response is well known for delivering extremely good results in terms of SNR improvements. It however has a drawback in the computational burden per frame to deliver this distortionless response of the desired signal whiles attenuating the noise considerably. In this regard, we present a distortionless response on the aggregate sum of the received signals and demonstrate that this achieves both considerable improvement in SNR and reduction in computational burden. 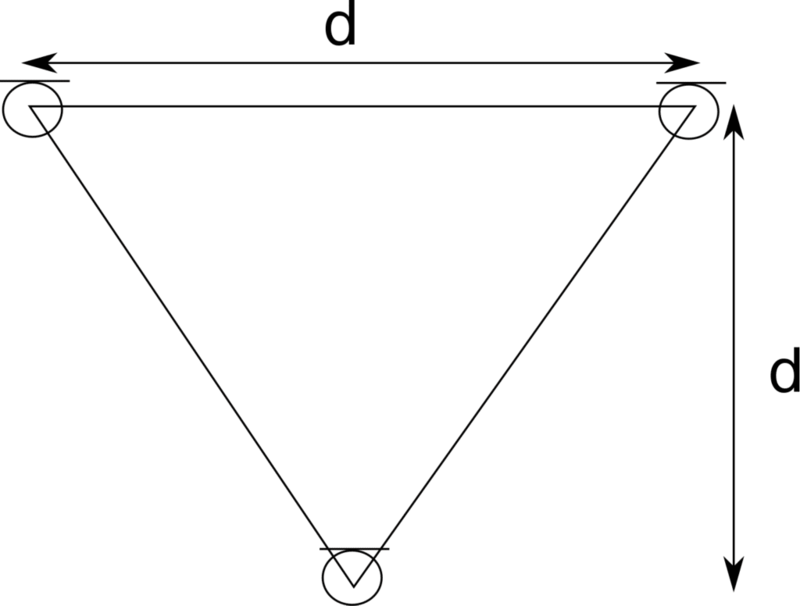 Consider an acoustic signal impinging a three microphones arranged as in Figure 1. Using , a scalar distortionless response can be attained using , where the superscript denotes the hermitian operator, without the need of any matrix inversions, such that the frequency response shown in Figure 2 can be attained. Further SNR improvements are possible using the spatial filters corresponding to specific look directions.